All Aquatrols equipment comes with the necessary fittings to get started. Our pumps and applicators are easy to install and use. Start applying Aqueduct liquid to any turfgrass area under stress with the Aquatrols Applicator. This convenient portable in-line injector automatically mixes Aqueduct liquid with water flowing through at a constant proportion of 1:320. (4 ounces of AQUEDUCT concentrate per minute at 10 gallons of water per minute). The Neptune PZ-31 pump injects Dispatch Injectable directly into the irrigation system. This pump features a lower output capacity and is an effective and economical alternative for smaller acreage application. 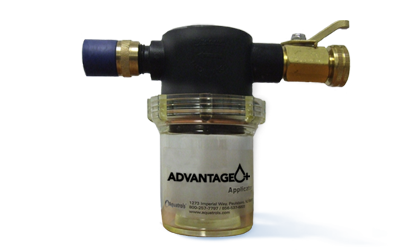 Contact Aquatrols for Applicators and Pumps Today!